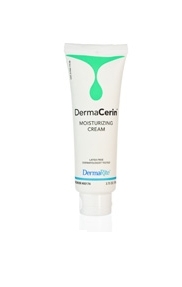 DermaCerin Moisture Therapy Cream is enhanced with Vitamin E. It is highly effective for treatment of dry, flaky skin. 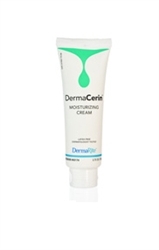 The cream provides moisturization without irritation to the skin. DermaCerin is 100% fragrance free and ideal for everyday use. Love this lotion for my legs and feet. The only lotion I've found that has taken away my dry, flaky skin and made it so soft. I first used this when I was in rehab for a hip replacement and since I've been home I've ordered it. You pepole are the best.Very faet getting shipment out.Will use you for all my needs.Thank you again.